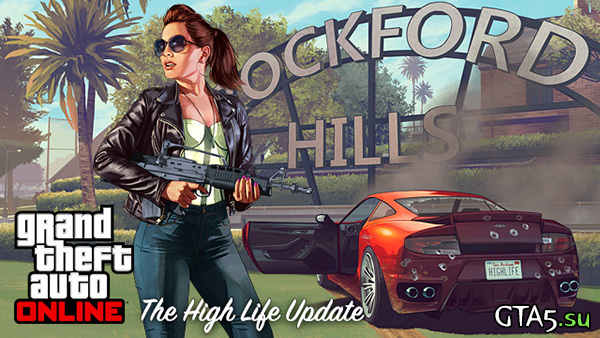 High Life also introduces many new game features and enhancements including some updates directly based on feedback from you, the GTA Online community (remember to keep your feedback coming to [email protected] where we’re always reviewing your input for consideration). To download today’s free update, fire up your connected PlayStation 3 or Xbox 360, start GTAV and download the automatic update (1.13) when prompted (Xbox 360 players will also be required to download an additional compatibility pack upon entering GTA Online). Also stay tuned here at the Newswire for details on the High Life Weekend Social Club Event starting this Friday, with in-game bonuses, a special Rockstar-hosted live stream, rare gear sweepstakes and more.